Malachi's Magnificent Lemonade stand set up in the lobby of Solidarity Federal Credit Union on March 9, 2018. He is raising money for the family of fallen Deputy Jacob Pickett's family. 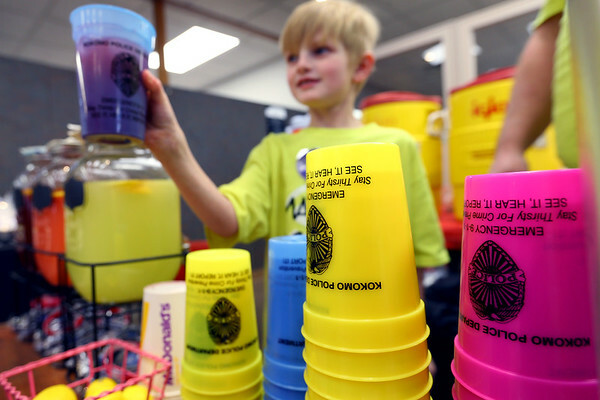 Malachi Fronczak hands a customer a cup of lemonade in a Kokomo Police department cup.